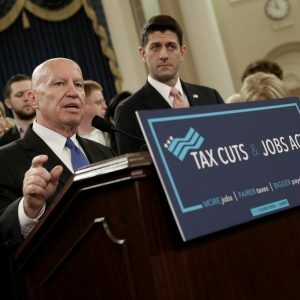 Tax reform, a campaign promise as old as the walls of congress. This weekend, a 51-49 vote occurred on Saturday by the U.S. Senate to pass a tax reform worth about $1.4 trillion. Although the bill is not yet finalized, this brings many Americans much closer to a tax cut. The bill allows deductions of up to $10,000 in local property taxes, but does away with federal deductions for state and local income and sales taxes. As far as personal deductions, the bill nearly doubles the standard deduction level to $12,000 for individuals and $24,000 for couples; up from $6350 and $12,700 respectively. The Senate bill keeps seven tax brackets, but reduces them to 10, 12, 22, 24, 32, 35 and 38.5 percent. Currently, the seven brackets are: 10, 15, 25, 28, 33, 35, and 39.6 percent. The Senate bill will cut the current rate of 35 percent to 20 percent, but it calls for a one-year delay in dropping the rate. The changes will not have any impact on your taxes for 2017. President Trump and congressional Republicans have vowed to make tax reform law before the end of the year. If that is the case, most of the provisions would take effect on January 1st.